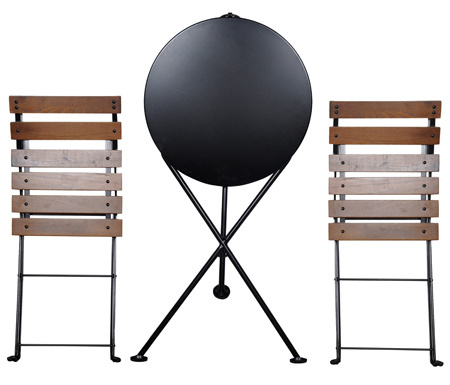 Durable for use outside, treated for rust resistance and powdercoated. 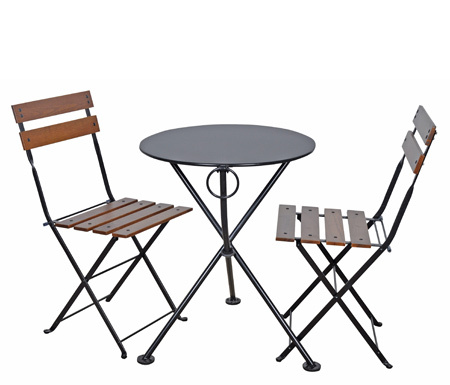 Three points of contact with the ground provides an exceptionally stable outdoor dining table. 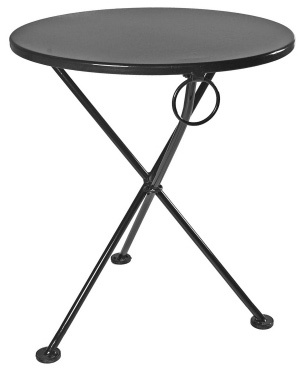 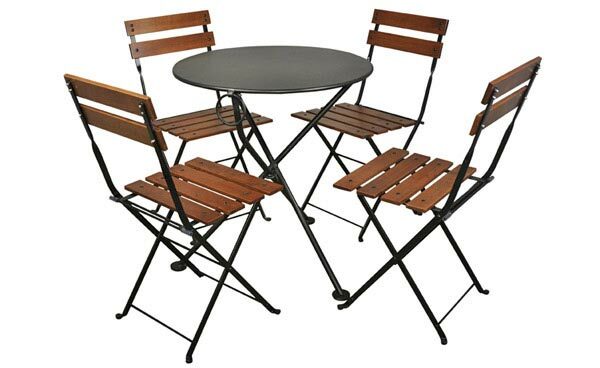 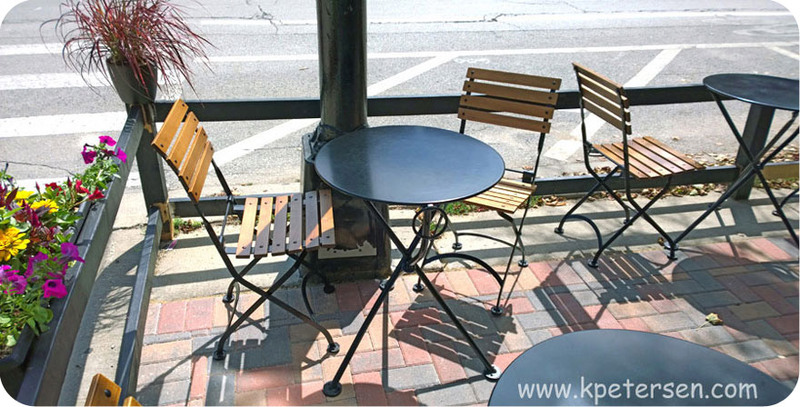 French Bistro Round Steel Outdoor Tripod Folding Tables.